Regius Cigars first hit the shelves of U.K. tobacconists in 2010 and made their way into the U.S. market a couple of years later. 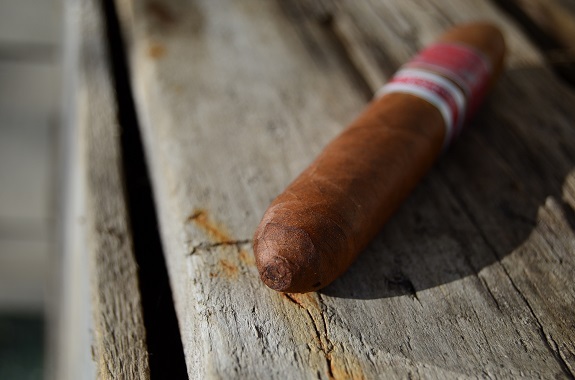 But it wasn’t until the Exclusivo U.S.A. debuted in 2014 that Akhil Kapacee, CEO of Regius, created a cigar specifically geared for the U.S. consumer with fuller flavors and larger sizes. The original release of the Exclusivo U.S.A series was the Red Label and White Label. In 2016, Regius Cigars added the Blue Label or Oscuro Especial to the collection. Exclusivo U.S.A. uses the very best of Nestor`s tobacco, and his best rollers. Each cigar has a unique blend crafted for its respective size, all of which aid the development of flavour and complexity. The pressed perfecto has an intensity from the box press coupled with the closed foot which ages the tobacco slower. 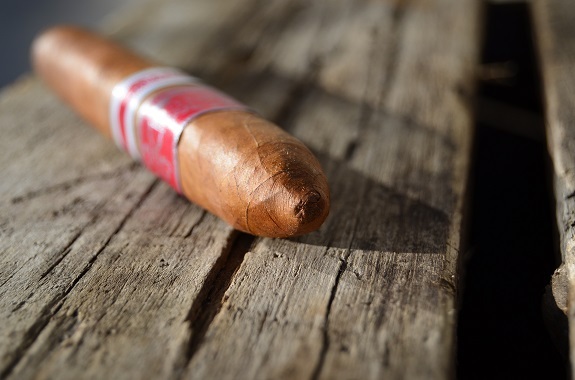 The Toro Extra develops with every puff, into a crescendo of taste two thirds of the way through. The Fat Perfecto displays an array of aromas and texture as it widens and progresses. 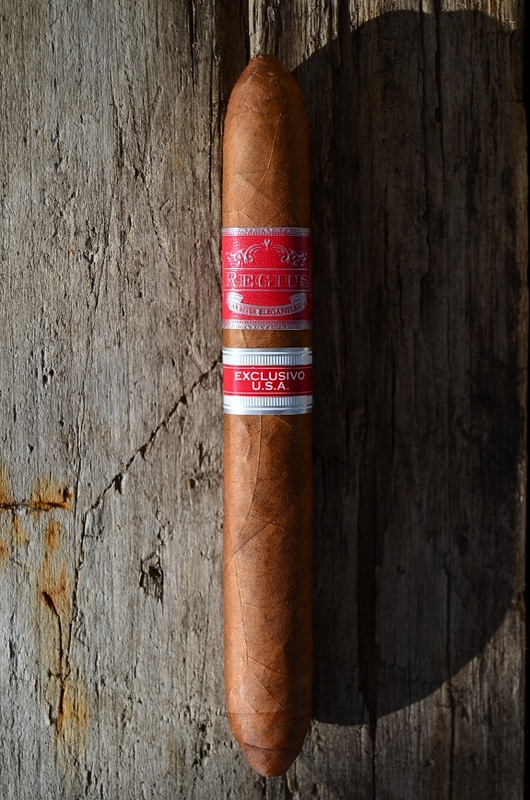 You can purchase the Regius Cigars Exclusivo U.S.A. Red Label Pressed Perfecto from our good friends at Cuenca Cigars in their 2017 Top 25 Cigars by Cigar Aficionado sampler. The Regius Exclusivo U.S.A is draped in a medium brown wrapper that has only minor color imperfections. The veins are fairly small and there are a few bumps on the leaf. To the touch, the wrapper is smooth. As I lightly pinch the cigar between my fingers, I find a soft spot between the band and foot of the cigar. The rest of the cigar gives only slightly when pressed. Wood and brown sugar comes across on the wrapper and pepper spice and rich wood from the foot of the cigar once clipped. The same rich wood flavor and a saltwater flavor is found on the cold draw that is very comfortable. The Exclusivo U.S.A. Red Label opens with a lot of richness followed by a vegetal flavor and a strange sweetness, almost like jelly beans. Diesel develops and is joined by a complimentary cocoa. The draw, which was no issue, has opened up even more so as the cigar burns past the tapered section and each small draw produces a satisfying amount of smoke. The burn started off with a major wave but self-corrected shortly into the cigar. As I enter the second third, a quick touch-up is required to get the burn back on track. The diesel/earth flavor is carrying the Exclusivo U.S.A. Red Label Pressed Perfecto along. The vegetal flavor and sweetness have been pushed off to the background. The dark flavors sit heavy on the palate and are in the medium/full range. The ash is holding to nearly an inch and a half but isn’t too pleasant looking. The black pepper is now on the finish and a medium spice comes across on the retro-hale. The diesel and earth that took control of the profile in the second third have backed off. A sweet wood flavor has joined in and the pepper spice is intensifying as the diesel comes back in waves. 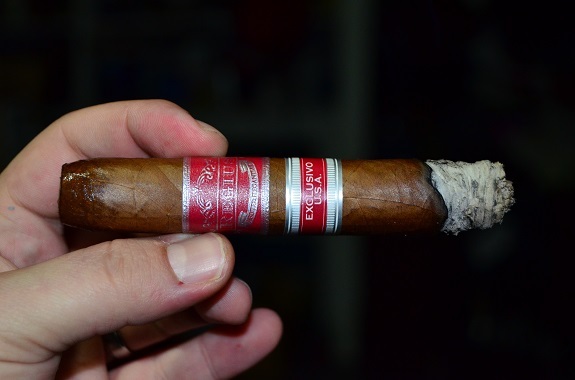 And as I close out the Exclusivo U.S.A. Red Label, the cigar finishes with a wavy burn. 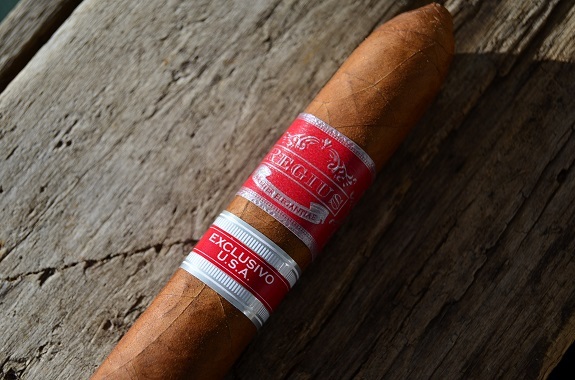 The Exclusivo U.S.A. Red Label Pressed Perfecto by Regius Cigars provided a medium/full flavor profile with dark notes of diesel, earth, cocoa, and black pepper spice. 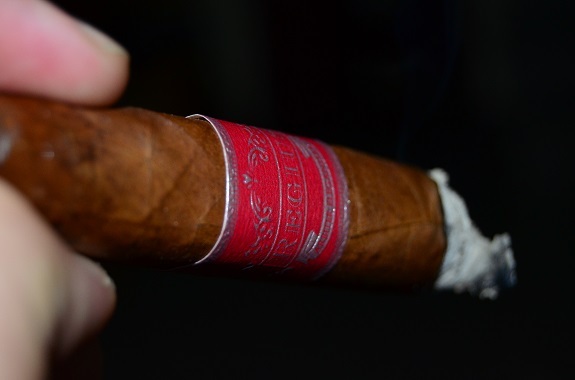 Even though the cigar started with an odd sweetness and the vegetal flavor, it quickly found its groove and delivered a balanced profile through the remainder of the smoke. 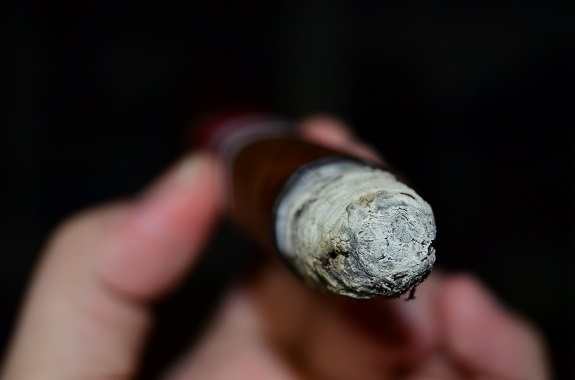 An awesome amount of smoke was produced as the cigar burned along with a wavy burn-line, resulting in one touch-up. This is a cigar you will want to keep your eye out for. Related ItemsCigar Aficionadocigar reviewCuenca CigarsExclusivo U.S.A.Exclusivo U.S.A. Red LabelNicaraguanRegius CigarsRegius Exclusivo U.S.A.